We love our classes! It’s been great seeing my baby develop without it feeling repetitive because of the different themes each week. I have felt confident enough to take my daughter swimming outside of lessons which I wouldn’t have done without the independence encouraged in lessons. Thank you Claire for another incredible term. It is clear how much Amélie enjoys your lessons and is so confident in the water; all because of you. The lessons have also been enjoyable for me and increased my own confidence in the water, which is an added bonus. We have really enjoyed our swimming… we really appreciate the effort you make…your humour…fun games and songs…imagination…props and all the technical expertise. Classes are true creative adventures! I feel like it’s a trip back to my own childhood as well! Magic! We both love coming to lessons and Jackson gets so excited when I get him into his wet suit, he knows what’s coming! I was impressed from the very first lesson and continue to be so each week, we love Aqua Beans! Aqua Beans is my daughter’s favourite time of the week. She smiles so much in the water you could mistake her for a feeding basking shark! The classes have been great, so much fun and less pressure than I found previously with other swim schools. It feels like a really good balance between having fun and learning to swim. My son is 4 months old and the size of the class is great; not too big for it to be overwhelming for me and my son, but big enough to meet other Mums and babies and make the classes fun. I would definitely recommend Aqua Beans to a friend, and actually already have. Aqua Beans 100% meets our expectations and Hector loves every minute of it!! 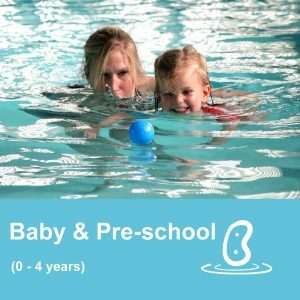 We have really enjoyed our swimming adventures with Aqua Beans since Sebastian was 5 weeks old and have not missed a session. It is the highlight of our week and he is so confident in the water thanks to the fun we have in class. I would definitely recommend these classes to friends. The effort you put into making the half hour fun packed is reaped by the sheer delight Amie shows splashing around and giggling with excitement. I have organised my return to work enabling us to continue attending Aqua Beans. Engaging themed lessons to inspire little ones. Our weekly “Aqua Adventures” will capture active imaginations by sending you zooming into space, climbing aboard a pirate ship or exploring the deep blue sea. 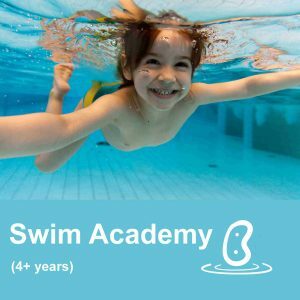 Tailored Swim Academy programme for ages 4+ years which will take your child on an exciting swimming journey introducing key skills in a way that is engaging, progressive and fun. Fully qualified ASA/STA teaching with lessons held in small friendly groups in warm pools – a perfect environment for learning to swim. 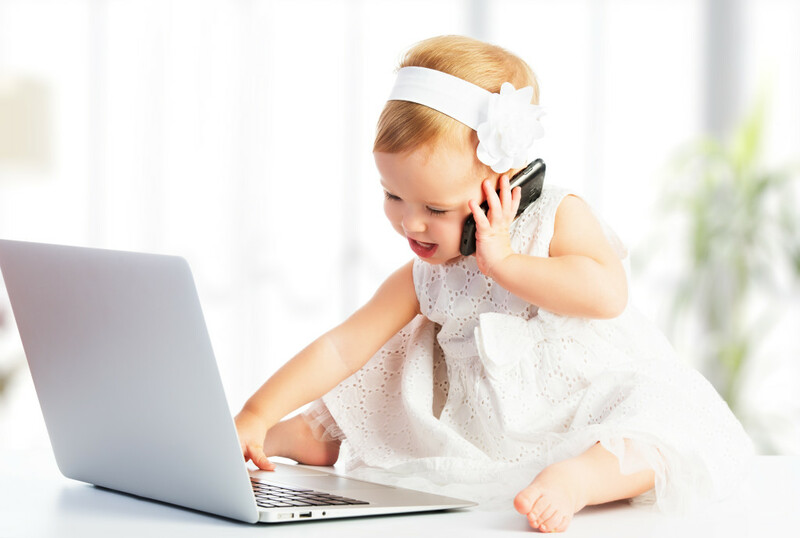 If there is anything that you can’t find on our website, or if you would prefer to talk to us about anything, please get in touch and we would be more than happy to answer any of your questions. 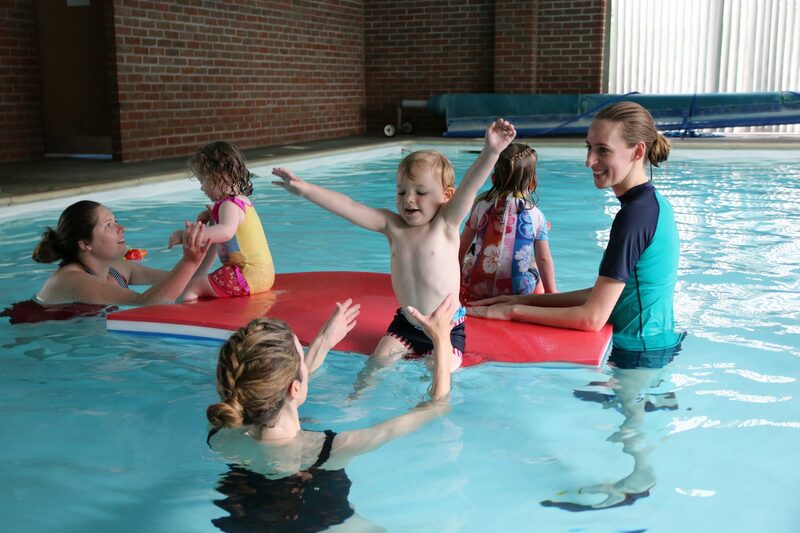 Teaching little ones to swim the fun way.